Your input is requested on all aspects of the draft 911 Data & Information Sharing: A Strategic Plan. Go to https://www.911.gov/project_strategicplanningfor911data.html for more information and to download a copy of the draft available for public comment. Input will be accepted at nhtsa.national911@dot.gov beginning January 18, 2019, and all comments are requested no later than February 1, 2019. As a society, data from nearly everything we interact with each day informs what we have, what we need and how we can continue to evolve and improve. Public-safety data provides the evidence and justification needed for decisions related to funding, staffing, performance, improvements and innovations. This information also provides insight regarding the challenges in 911 service today, such as location accuracy, cross-jurisdictional call routing and continuity of service during surge periods. How the public interacts with 911 is continuously evolving, and data will be key in helping 911 leaders anticipate and address future challenges. The significantly different governance, management and funding structures of 911 systems nationwide make it difficult to envision a data-collection, data-management, and data-sharing system that will be easily adopted by the 911 community as a whole. In addition, a lack of a single coordinating or regulating body at both the local and national levels increases the amount of effort needed to motivate local 911 centers to adopt data-sharing practices and standards. Regardless of the challenges that will need to be surmounted, the 911 community has acknowledged the need for usable data and can look to the successes of other industries—for example, emergency medical services—in tackling this issue. There is no question that data is essential, so, what is the issue? Collecting data, managing it, and sharing the right information with the right people at the right time is complex. A lot of data accompanies every 911 call; how does the 911 telecommunicator responsible for processing the call quickly identify the most relevant and useful information? And that is just beginning of the questions. Once the call is over, where does the data from that call go? If the data needs to go to a PSAP in another jurisdiction, what is the most efficient way to get it there? What are the various decisions the data can inform? Where does it live? Who has the “right” to access it? How do you protect it? These questions can be even more ominous when working with a diverse set of entities that may share a common mission or purpose but have very different functions, processes, technical systems, and organizational structures. The 911 community is grappling with these very issues now more than ever. Fundamentally, 911 is a local service; therefore, 911 environments naturally have operated on the basis of insular data. As a result, the current landscape is a mosaic of primarily independent data silos. This decentralized and individualized 911 environment makes it difficult to pinpoint necessary data-management and data-sharing tools that would pose value to the 911 community as a whole. Even if tools were established, the vast differences among 911 environments across the country may make it nearly impossible to motivate local 911 centers to adopt data-sharing practices and standards. In 2016, the Federal Communications Commission’s (FCC) Task Force on Optimal PSAP Architecture (TFOPA), identified the lack of standardized and shared data as a concern. In response to this, the U.S. Department of Transportation’s National Highway Traffic Safety Administration (NHTSA) released a Request for Information (RFI) asking the 911 community to identify the data capabilities and tools it needs. RFI responses pointed to a need for data to help facilitate the transition to next-generation 911 (NG911), and to improve day-to-day operations (within and beyond jurisdictional boundaries), regardless of where a jurisdiction may be in its transition to NG911. As the 911 industry transitions to NG911, 911 stakeholders require data that lets them analyze and evaluate their administrative, operational, and technical needs and capabilities. To ensure equivalent and equitable comparisons, the analysis and evaluation must be conducted against industry standards and requirements that support NG911 capabilities. Today, not every jurisdiction has access to the data it needs to plan for NG911, such as technical data regarding systems in use. Without such data, it is difficult for governmental organizations to approve, plan and implement funding programs that help jurisdictions progress toward this transformational, IP-based 911 technology. How Can We Address the 911 Data Dilemma? To address the TFOPA recommendation and the multiple RFI responses from 911 leaders across the country, NHTSA’s National 911 Program convened a working group that represents a cross section of the broader 911 community: 911 authorities, industry associations, system providers, and others. What kind of data do the 911 industry need? Computer-aided dispatch (CAD) data, operational data, administrative data? What data should be categorized as “operational,” and how is that different from “administrative” data? Is there a baseline understanding and shared definition of all 911 terms? As an example, the group found that the commonly used term “system” meant something different to a 911 authority representative than it did to a vendor. What are the appropriate boundaries for a strategic planning effort such as this? While the team increasingly understood the 911 community’s specific data needs, they found it was too early to map out specific steps or tactics for achieving the community’s vision. At times, the working group questioned whether the 911 community’s vision for uniform data collection and data sharing is even attainable. When considering the many complexities, interdependencies, and unknowns, certain challenges felt insurmountable. What Can be Tackled Immediately? What became clear is that initial efforts needed to focus at the highest strategic level, as it was too early in the planning and landscape analysis process to map out specific steps or tactics for success, because too much is unknown about the specific needs of all stakeholders. Instead, the working group’s focus shifted to articulating goals and objectives that address the 911 community’s functional needs. These stakeholders also had to avoid letting the magnitude of the task blur the ability to recognize small-but-worthy steps toward engaging the broader 911 community in this dialogue. So, the group set out to develop a framework that could be used to generate conversation and eventually unite the 911 community toward a shared vision and strategic framework. “The working group’s thinking evolved to embrace the mindset that this strategic plan is not about a singular product or approach, but rather a collection of strategic objectives needed to create an information sharing environment,” according to David Rathburn, PMP, a senior consultant at Dynamic Pro, Inc. (DPI) and a member of the DPI/MCP Project Team. Over the course of the last year, stakeholders developed a draft strategic plan that strives to peel away the initial layers of this intricate issue. This draft document, 911 Data & Information Sharing: A Strategic Plan, presents to the 911 community five proposed 911 data goals, objectives, and various questions to consider when envisioning how to accomplish the proposed objectives. While the makeup of the working group was structured to represent as many perspectives, associations and technical experts within the 911 community as possible, it now looks to the individuals across the nation who also address these issues each day. The working group’s request is that 911 and public safety representatives from all different roles within 911 review the suggested strategy to provide input and fresh perspectives toward this draft strategic plan. After nearly a year of discussing the challenging topics at hand, the working group hopes to have captured the most important key goals and objectives that—once agreed upon—will set a clear path to address this challenging-but-much-needed future for 911. But greater input is needed from those who will be impacted daily by 911 data policies. The complexity of this project resulted in it meaning many things to many people, depending on the frame of reference. The bottom line is that 911 data is most meaningful when we all discuss and agree on the most crucial data elements and a shared definition of those elements. Jackie Mines is a communications consultant for Mission Critical Partners. Jackie advises federal, statewide and local clients advancing their NG911 strategic planning efforts and implementation, as well as contributes to interoperability emergency communications, and state and national policy development. 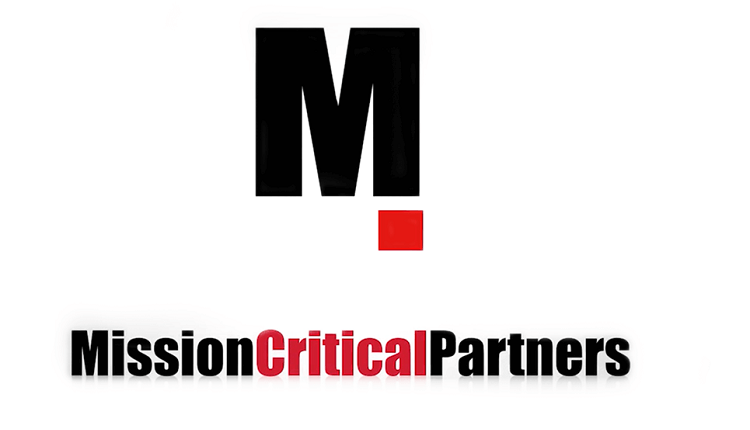 Mission Critical Partners and Dynamic Pro, Inc have teamed to support a number of recent NHTSA initiatives, including revising guidance on NG911 planning and legislative language development, and building an NG911 roadmap. The team currently helps NHTSA engage the 911 community toward the finalization of 911 Data & Information Sharing: A Strategic Plan.